There are a lot of technology changes these days and a myriad of new kinds of products hitting the market in every industry. Plumbing may seem like something that would be immune to failures from untested materials being used to “save costs”. At Tarvin Plumbing in the last 110 years we’ve watched a lot of these products come and go. Let’s take a look at a few! Lead water lines- Colonel Mustard in the Ballroom with the lead pipe – which also served your drinking water in most buildings up until the introduction of good old reliable copper. The problem was flexibility of water service piping to individual houses with concerns over expansion and contraction of the ground. Do we still have lead water lines in use today? Yes, we still replace lead water services. Wait! Lead is toxic though right? In fact lead is a known neurotoxin. In the case of a water service the theory is that because of mineral buildup the lead isn’t directly exposed to the water. There WILL be mineral buildup, your water utility guarantees it- basically acidic water would eat through the water lines and services over time (carrying the additional dissolved sediment)– Alkaline water does the opposite and builds a “protective” layer over time on the utility company’s water lines and maybe yours. Massive amounts of calcium and magnesium are added, likely beyond the levels necessary for health reasons – these two minerals are key in increasing water hardness(which contributes to PH and helps to stabilize it) often measured in grains per gallon (gpg). Water hardness being a measurement of these minerals dissolved in water – you can see it’s evidence on your shower doors, shower head and causes extra wear on some plumbing components. This leads to water filtration and softening to treat the water, again. Copper water lines- Good old copper -safe, reliable, stands the test of time. Oh wait! 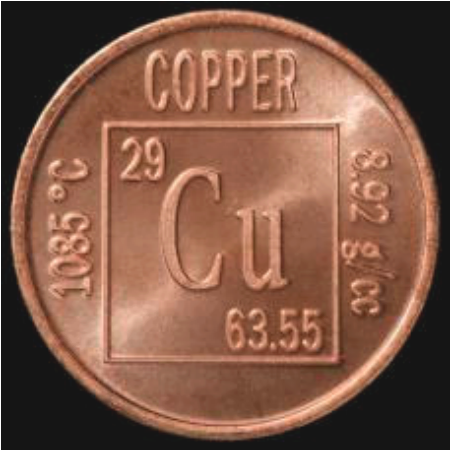 Copper is toxic too?? Yes it is, in high doses also a neurotoxin. For the same reasons as lead and mineral buildup it doesn’t bear direct contact with water in most situations. As well as being a more noble metal and less susceptible to corrosion. It is more dangerous as cookware because of the scraping and temperature changes(like copper cookware : ) Tarvin Plumbing still uses copper(not for cooking) and recommends it for all water line situations because of it’s reliability and strength, while maintaining some flexibility to expansion. 80 pounds per square inch of water pressure is substantial – a half inch water line broken off could flood your home with 800 – 1200 gallons per hour. Galvanized- Zinc is used in the galvanizing process which can contain impurities from heavy metals such as lead and cadmium. With acidic water conditions these metals could leach into the drinking water. For the same reasons as lead, galvanized is still considered a safe material for carrying drinking water. It is more susceptible to corrosion than copper, if we see it we recommend it be replaced if accessible or in bad condition. If a water softener is used care should be taken that it is set up properly to leave some hardness in the water as it could lead to fast scale removal exposing piping or clogging fixtures. PB – AKA Blue Max, Quest. Premiering in the late 1970’s Polybutelene was going to revolutionize the plumbing industry with super cheap(did I mean inexpensive?) flexible piping! We did not buy onto this bus thankfully, as it did not stand the test of time (we’d like to see 30 years… I mean copper easily lasts that) After years the piping showed it’s true nature. It had been wearing from the inside out due to oxidants, chlorine and minerals in the water running through them. From looking at the pipe there was no indication of problem until it came apart. There were common problems with quality of fittings, installation problems with recommended tools or just improper installation. Often installed in bulk in new communities, entire developments needed to be re-piped. We don’t run into it often but there is some still out there. PEX – PEX-A – Probably the second most common pipe that would be considered for residential plumbing. The most common reason is price. We often see it where copper water lines were stolen, thinking that it will prevent future theft. If you can afford it we still recommend copper, PEX just hasn’t been around long enough for us to switch over or recommend it in any situation. PEX-A is a higher quality pex piping seeing a lot of use in new construction including commercial. It is assembled with a special expander instead of a crimp or copper band on regular PEX. If we were going to use PEX we would likely be using PEX-A. If a house is re piped in PEX you will likely see a large reduction in flow to the fixtures. 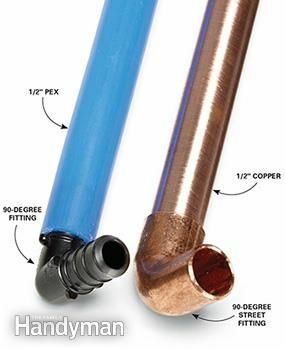 A manifold system would be necessary as the PEX cannot carry the same volume as the same size copper water lines, adding many additional water lines. There is a concern over quality of materials so if you do want to get into your own plastic water line projects, we would recommend buying supplies from a reputable plumbing supplier, not a box store. We’ve seen a lot of materials come and go over the years, one of the reasons we are still here is because we take pride in our workmanship and sub-par materials can taint that image. We can work on anything, we will fix any plumbing, we would prefer anything we work on stand the test of time.